On Oct. 3, the U.S. Senate passed a long-awaited reauthorization for the Federal Aviation Administration (FAA), securing funding for the agency for the next five years and enshrining a wide range of programs and measures affecting every branch of aviation. The reauthorization has been a protracted process, requiring six extensions that had pinned the agency’s funding at a level established in 2012. However, it finally passed the House of Representatives last week by a vote of 398-23, followed by a 93-6 approval in the Senate. It has now been sent to the White House to be signed into law by President Donald Trump. In addition to crowd-pleasing moves that will appease airline passengers — from establishing a minimum seat width and distance between rows of seats and banning cellphone calls on planes — and a nod to the future of travel through the creation of the Office of Spaceports, the bill included several key measures for the rotorcraft industry. These include mandating crash resistant fuel systems (CRFS) in newly-manufactured helicopters; improved oversight for the air ambulance industry and clarity over its billing practices; an attempt to address a perceived shortage of pilots and other aviation professionals; and the introduction of new guidelines for incorporating unmanned aircraft systems (UAS) into U.S. airspace. Zuccaro also praised the clarity the bill provides on the safe integration of UAS into the national airspace, and thanked Congress for addressing the issue of CRFS. “We commend Congress for their perseverance on this issue and for adopting the recommendations of the Rotorcraft Occupant Protection Working Group,” he said. The CRFS provision flows, in large part, from the legacy of the 2015 crash of a Flight for Life Airbus H125 (previously known as the AS350 B3e) AStar in Frisco, Colorado. Pilot Patrick Mahany lost his life in the post-crash fire that consumed the aircraft, and flight nurses Dave Repsher and Matt Bowe were severely injured. The effort to improve post-crash survivability was originally spearheaded by Mahany’s widow, Karen, and then led through Congress by two of the state’s legislators in the House of Representatives, Jared Polis (D-Colo.) and Ed Perlmutter (D-Colo.). 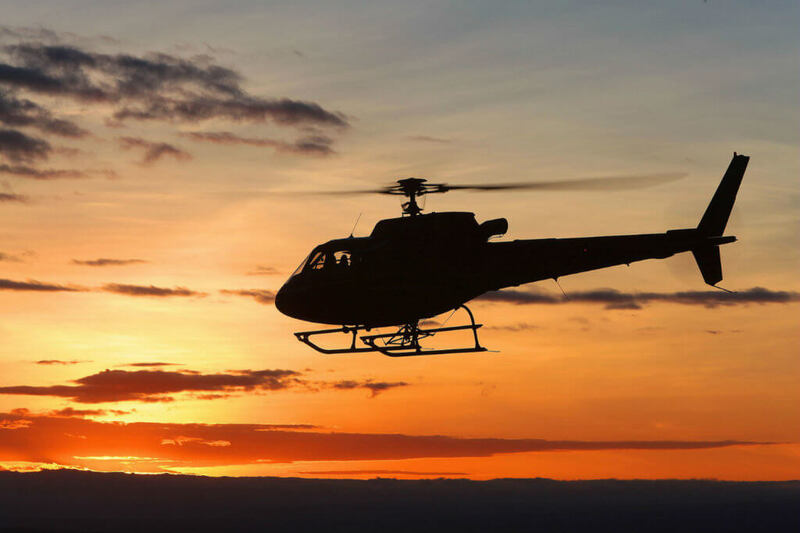 The National Transportation Safety Board urged the FAA to make CRFS mandatory in all newly-manufactured rotorcraft in a safety recommendation issued shortly after the Flight for Life crash in 2015. Previously, rotorcraft were required to meet the crashworthiness requirements of 14 Code of Federal Regulations 27.952 or 29.952. 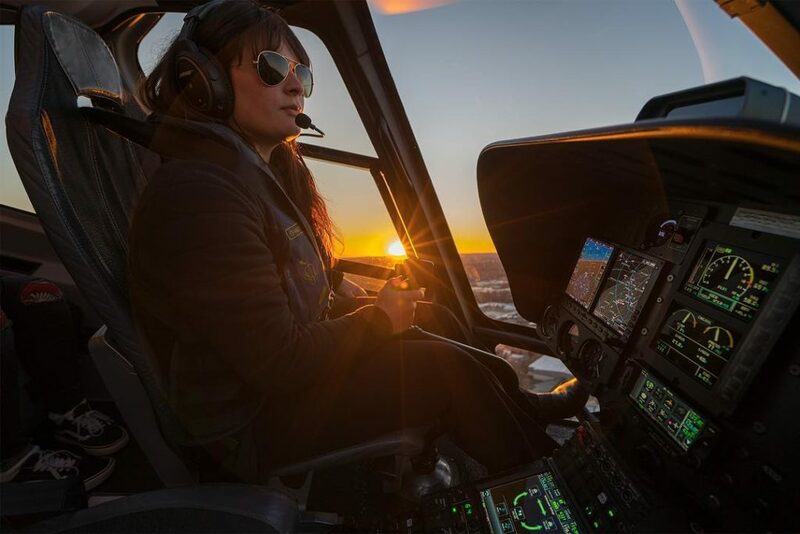 Those standards were originally introduced in October 1994, but did not apply to rotorcraft with type certificates approved before that date — including the AS350, which received its type certificate in 1977. A CRFS has only been available as an option for the H125 since 2014, but it has been standard on H125s manufactured in the U.S. since 2016. However, a system wasn’t available for legacy AS350 models until December 2017, when a retrofit kit developed by Robertson Fuel Systems and StandardAero was certified. With the bill’s passage, all newly-manufactured helicopters to be operated in the U.S. must have a CRFS installed. Another key area of focus concerns increased oversight of the air ambulance industry, and more specifically, patient billing practices from air ambulance providers. The bill calls for the creation of an advisory committee to review options to improve the transparency of charges and fees for air medical services, better inform consumers of their insurance options, and protect them from balance billing. The committee will be composed of the representatives from various industry stakeholders, including air ambulance operators, patient advocacy groups, insurance providers and doctors specializing in trauma. As Vertical reported earlier this year, the committee is expected to report on the impact of clearly distinguishing between charges for air transportation services and charges for non-air transportation services in bills and invoices. The committee will also be tasked with exploring what data air ambulance providers should provide to the Department of Transportation “to improve its understanding of the air ambulance market . . . for the purposes of pursuing action related to unfair or deceptive practices,” the bills states. In a statement issued following the bill’s passage through the House, the Association of Air Medical Services said it “fully supports the language” in the legislation, including the establishment of the advisory committee. “AAMS and its members support any effort to increase transparency and engage stakeholders to ensure patients requiring lifesaving air medical transport are not burdened by a bill that did not expect and cannot afford,” the association said. It calls for the creation of a “Youth Access to American Jobs in Aviation Task Force,” challenged with developing recommendations and strategies to encourage students, from their junior year of high school, to pursue courses that would lead to a career in aviation. To bridge the gap from education to industry, the task force will also be responsible for identifying and developing pathways for these students to secure apprenticeships and careers in aviation. In developing its plan, the task force is expected to look at what encourages or discourages young people from pursuing careers in aviation, look at how aviation stakeholders can support those looking to join the industry, and explore ways to enhance apprenticeship and other mentorship programs — including grants and scholarships. The task force will be appointed by the FAA Administrator, and include representatives from air carriers; airframe, engine and avionics OEMs; aircraft repair stations; local educational agencies or high schools; higher education institutions; and other aviation and education stakeholders. The Reauthorization Act also includes provisions focusing on the need to encourage more women to pursue careers in aviation, through the creation of a Women in Aviation Advisory Board. The board will look at what prevents women from pursuing careers in aviation, and has been asked to develop strategies with the industry to encourage more women to do so. The bill also includes several key provisions that affect the UAS industry — with a knock-on impact to all other airspace users — including a call for a plan to implement UAS traffic management (UTM) services. Developed by the FAA and NASA together with industry stakeholders, this would pave the way for UAS to fly beyond visual line of sight (BVLOS) into full operational capability — including drone delivery of packages. The bill states that UAS BVLOS operations, nighttime operations, and operations over people “have tremendous potential,” and that integrating UAS safely into the national airspace system to perform these operations “should remain a top priority” for the FAA. UAS operators have been required to register their aircraft with the FAA since Dec. 21, 2015, and the bill calls on the regulator to explore the level of compliance with the mandate — and its effectiveness. A pilot program to remotely detect or identify airborne UAS is also requested, with enforcement action authorized against UAS deemed in non-compliance with aviation laws and regulations. “The ability to remotely identify and track UAS is the linchpin needed to advance the UAS industry, and it is critical for the ultimate realization of expanded operations, such as beyond line of sight and package delivery,” said Wynne. The bill includes a requirement for all UAS operators to pass a basic aeronautical and safety test — previously, just commercial operators were required to do so. 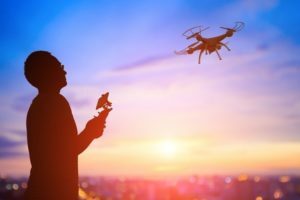 In a similar vein, it provides annual funding for the “Know Before You Fly” campaign and other public information efforts designed to raise awareness of UAS safety issues. “We hope President Trump quickly signs the bill into law as these necessary steps will help encourage innovation and safety while accelerating the commercial use of UAS,” said Wynne.